Norovirus and flu season may be winding down but it’s never too late to make sure your employees are well informed on all matters of infection control. A well published infection control presence on your hospitals’ Intranet has a huge impact on the culture and approach everyone in the hospital takes to seriously curb and address infection spread. 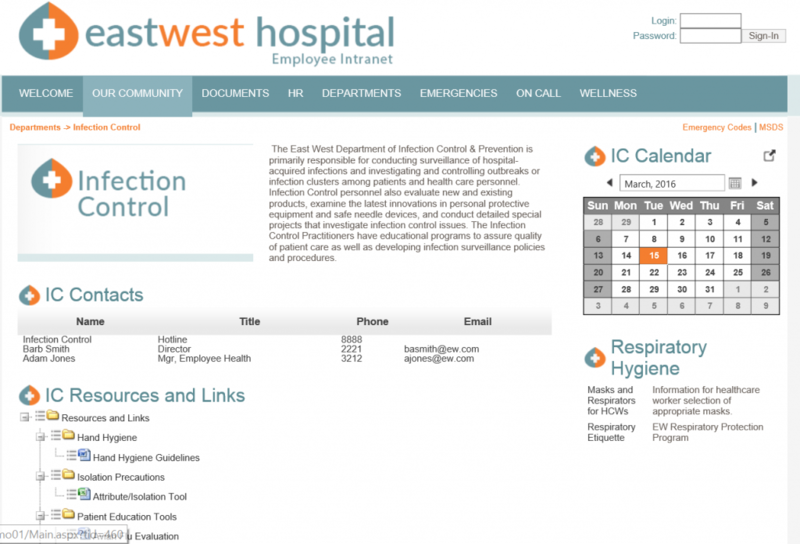 So what makes for a terrific infection control page on your intranet? Most importantly the information should be current and have content related to the latest infection issues that are current in the healthcare industry. Second, it is vital that the content be very educational and streamlined to provide employees with all resources they need to first prevent infection spread but also provide information on procedures and instructions on how to handle all potential infection issues. Notifiable diseases listings and rules for when / how to notify public health. 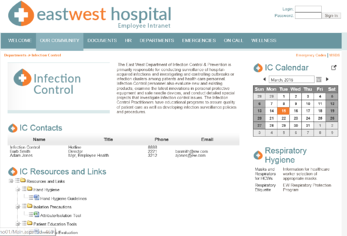 With such a vast library of information, the Infection control department should be one of the more comprehensive content areas of a hospitals Intranet site. Your organization will be much better prepared to prevent and handle infection incidents if the effort is taken to properly publish infection control content.